Curtain rising! 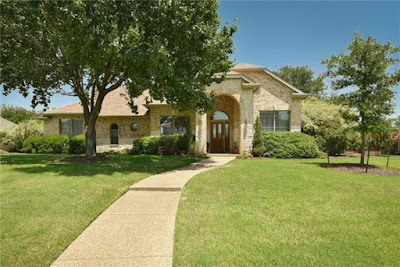 If you desire graceful living among beautiful surroundings, you must see this spacious home located on over one half acre in Keller ISD. The open concept and abundance of natural light evoke a relaxing lifestyle. A warm and welcoming family room perfect for entertaining guests features a wall of windows and the warmth of a fireplace. Retreat to the master suite with sitting area and spa-like bath offering his and her vanities, jetted, garden tub and separate shower. Large secondary bedrooms, gameroom, media room and study provide a place for everyone. Enjoy the private backyard with patio and plenty of room for outdoor fun. Conveniently located close to restaurants and shopping.